Chastity Belt aren’t a joke. They didn’t start out as one, either. What they would have to concede, though, is that at one point in time, they might have wanted you to believe that. 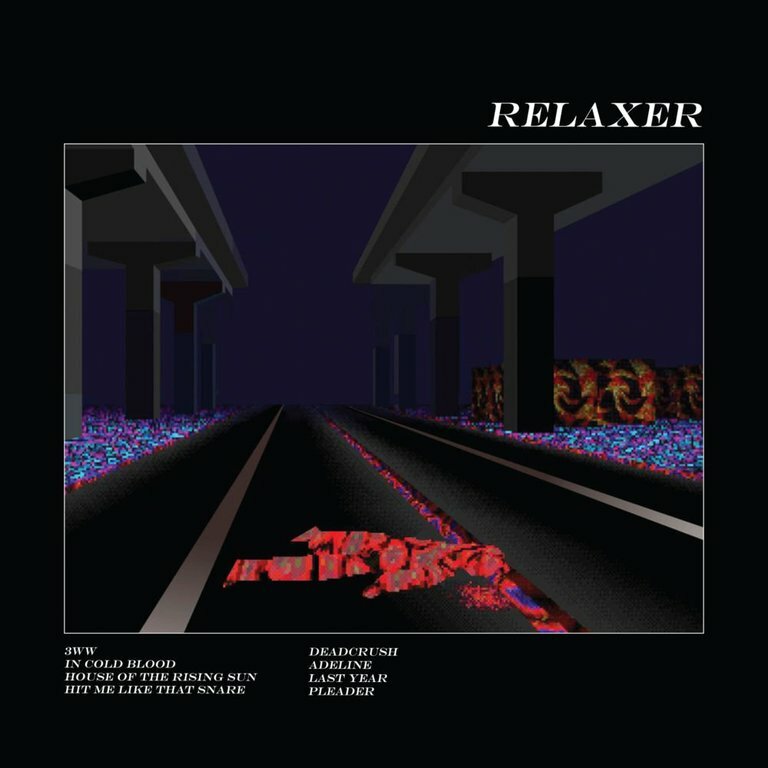 Their social media activity has always seen them keeping their collective firmly in cheek, and their lyrics in the early days were often throwaway - not least on their debut album, No Regerts, which had them playfully pulling apart the minutiae of life at and after university. They poked plenty of fun at themselves, too, both on and off record, but you always felt that they had the seeds of something special - not least a vice-like grasp of melody, and an incisive lyricist in vocalist Julia Shapiro. Amongst those in agreement on those points were Hardly Art, the offshoot of Sub Pop that, as far as this writer can tell, was founded at the point at which the legendary Seattle label finally said, “right, we’re officially too good at signing new bands: we’ll have to hive some of the younger ones off elsewhere”. That worked for Chastity Belt just fine; Time to Go Home, their second record, from 2015, was No Regerts all grown up. More thoughtful and profound subject matter was ushered in alongside a healthy dash of their well-established good humour, with the opener, ‘Drone’, a call to arms against mansplaining. The overall sound was richer, too; Shapiro’s guitar lines were beginning to interlock cleverly with Lydia Lund’s, and there was a palpable tension to the album as a whole that spoke to the insecurity lurking beneath the impish front the four-piece were putting up. After all, for the longest time, they liked to say that the whole affair wasn’t meant to be taken seriously, less because they were genuinely that carefree and more because such flippancy provided a useful shield with which to deflect negative write-ups. By the time it came to the task of following up Time to Go Home, there were far more eyes trained on Chastity Belt than ever before, which is what favourable press attention, extensive touring and support slots to the likes of Death Cab for Cutie will do for you. The band that had previously baulked at even the most incidental instances of pressure now had quite a bit of it concentrated upon them. Everything we knew about them previously suggested that they wouldn’t react especially well to it. Instead, they decamped to Portland, Oregon, enlisted Wire’s Matthew Simms on production duties, and turned out what will likely go down as their masterpiece. On the surface, I Used to Spend So Much Time Alone sounds like a band more at ease with themselves than ever; just taken at face value, some of these tracks sound languid and woozy where so much of Time to Go Home was wound tight. 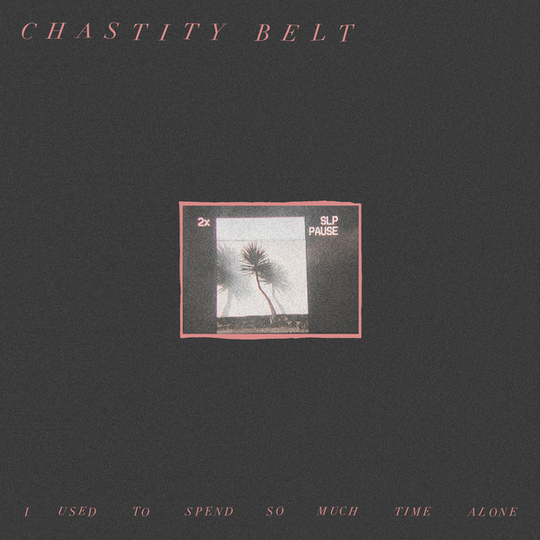 In the end, that assumption is true; Chastity Belt couldn’t have made an album like this unless they were far more confident in their own abilities than they so often lead us to believe - but that’s not to say that this isn’t a deeply emotional album. The difference is just that those emotions are both better balanced and less veiled. Opener ‘Different Now’ acknowledges anxiety over growing older, but by the chant-along final chorus, it sounds positively celebratory. Self-deprecation’s a theme on that one, too, and it’s hardly a surprise that it comes up frequently on I Used to Spend So Much Time Alone. “I wonder what it feels like not to care?” is a striking line from ‘It’s Obvious’. ‘Complain’, meanwhile, is scored through with a disillusionment that often borders on despair, and the softly devastating ‘Something Else’ tackles similar ideas, with all the promise that post-collegiate life seems to hold initially having dissipated into directionlessness. There’s little ideas that are threaded through the songs that reinforce that - late nights and a lack of routine are consistently presented as having lost their sheen, especially on stormy closer ‘5am’. I Used to Spend So Much Time Alone frequently feels like a counterpoint to No Regerts in that respect. That’s true of the way it sounds, too; Simms mixed Time to Go Home, but the band weren’t in a financial position to secure his services on the production front back then. 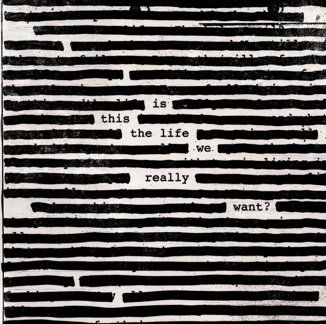 The shift between their first two releases and this one is nuanced, but it’s there; they’ve started to overdub the guitars more readily, but not in a way that’s at all gung-ho. There’s also a move away from the spikiness of old, one that’s given way to undulating guitar lines, lilting bass playing from Annie Truscott and a general sense that the group’s writing has become more measured, more assured. When the punkier Chastity Belt of old do emerge, as on ‘This Time of Night’ and ‘5am’, their Washington heritage is palpable; that side of the album plays like a less hectic version of Sleater-Kinney’s The Hot Rock. The beauty of this record is not just that it so consistently refers to the idea that’s implicit in the title, but that you know that it’s coming from a really honest place, especially where Shapiro is concerned. In this band, she’s not just found a career and a creative outlet; the most invaluable thing it’s given her is camaraderie, the sort that you can’t manufacture and that only really offers itself up as the product of countless hours spent with the same three people in the backs of vans, on strange couches in strange towns, and onstage in front of people you might not know, but that know you and love the art you make. That one-for-all, all-for-one attitude is obviously reflected in the occasional delegation of songwriting duties, too; Lund and drummer Gretchen Grimm take individual songwriting credits across the course of the album, with three tracks between them. I Used to Spend So Much Time Alone is pretty in its sonic gloominess and witty in the way that it wears its anxieties on its sleeve, but what makes it special is the way that all of that is grounded by the sturdiest of anchors - the quiet optimism that friendship inspires. The mask that Chastity Belt wore for so long has slipped. They’re not just mucking around, and this isn’t all meant to be a bit of a laugh. On this form, they’re the brightest and best of the current indie rock crop.